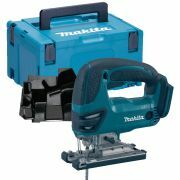 Cordless jigsaws are an indispensable power tool that has both specialised and generalised applications which means it’s a constant in both tradesman’s and DIYer’s tool bags. 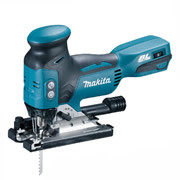 It’s a versatile power tool that is used for cutting curves and holes or stencils – a feat no other type of saw can achieve, but is also a great all-purpose saw suitable for all sorts of situations. 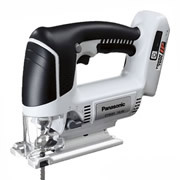 But with all the different cordless jigsaws out there, which do you choose? 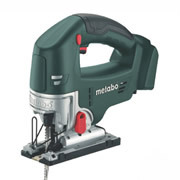 With Bosch, Dewalt, Hitachi, Makita, Metabo, Milwaukee and Panasonic all producing quality saws and featured in the ITS range, you can always give us a call for advice and guidance on what tool is right for you. 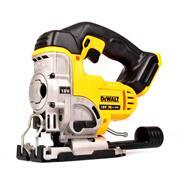 Do I need a Cordless jigsaw? 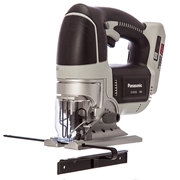 If you are looking to cut curved lines into wood, metal, plastic, worktops or tiles then jigsaws are the power tool that you should reach for. 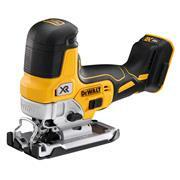 As such, for carpentry, joinery and kitchen fitters use them regularly. But the scope of their application can be extended! 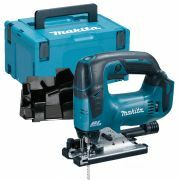 With the addition of specialist blades (that cut through PVC for example), many tradesmen don’t feel the need to own another power-saw in their tool collection. What are the benefits of a jigsaw? The great advantage to jigsaws is the versatility. They are able to crosscut, bevel, mitre and make curved cuts with ease and as it’s a tool that you’re able to use with just the one hand. 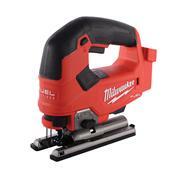 This means your other hand is free to steady the material you’re cutting. The different types of blade available give you a one-stop-shop for cutting - if you’ve got a healthy collection of different jigsaw blades, you’re all set for the vast majority of your short-depth cutting needs. 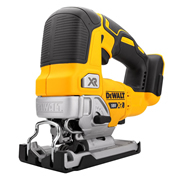 Why would I have cordless tool instead of corded? 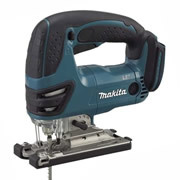 When working with cutting tools, the advantages of not having trailing leads with electricity flowing through them is obvious. 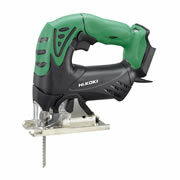 However, the main benefit over corded equivalents is the convenience of being able to take your jigsaw anywhere – especially in places that haven’t got easy access to a mains power source. 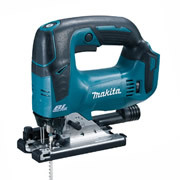 For every-day, flexible use for most cutting applications, a cordless jigsaw is a great tool to have but if you’re looking for a saw that’s going to last an extended period of time whilst cutting into tougher materials (hardwood, concrete for example), a corded tool might be best. 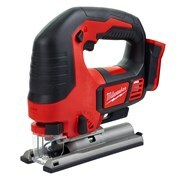 On the other hand, the huge advances in cordless technology and especially lithium-ion batteries mean it’s definitely worth considering investing in a cordless jigsaw. If you want some advice on what’s best for you from our selected range, our expert customer services team are here to help. Just give us a call and we’ll steer you in the right direction. 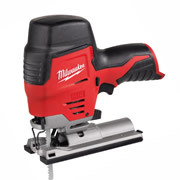 With 99% of items listed in stock, we’re sure we’ll be able to get the right cordless jigsaw to you and with next day delivery always available (even on Sundays), we’re ready to get your order to you right when you need it.